I’m sure, like me, you get so excited when you discover “new” family members. 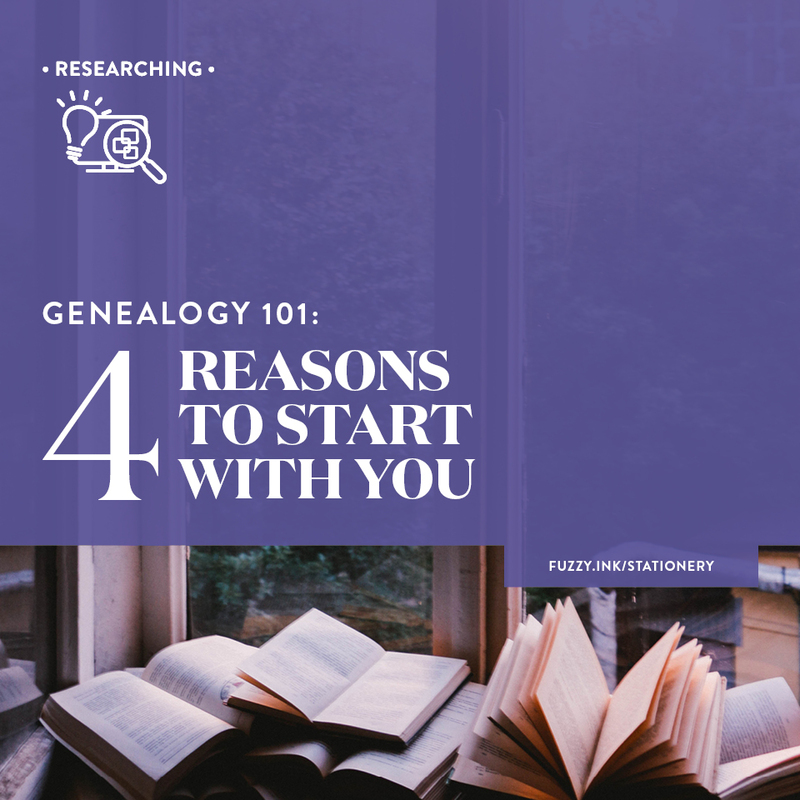 The first thing you want to do is sit down and chat about your shared family. And look through their photos and find out all the stories that they know. 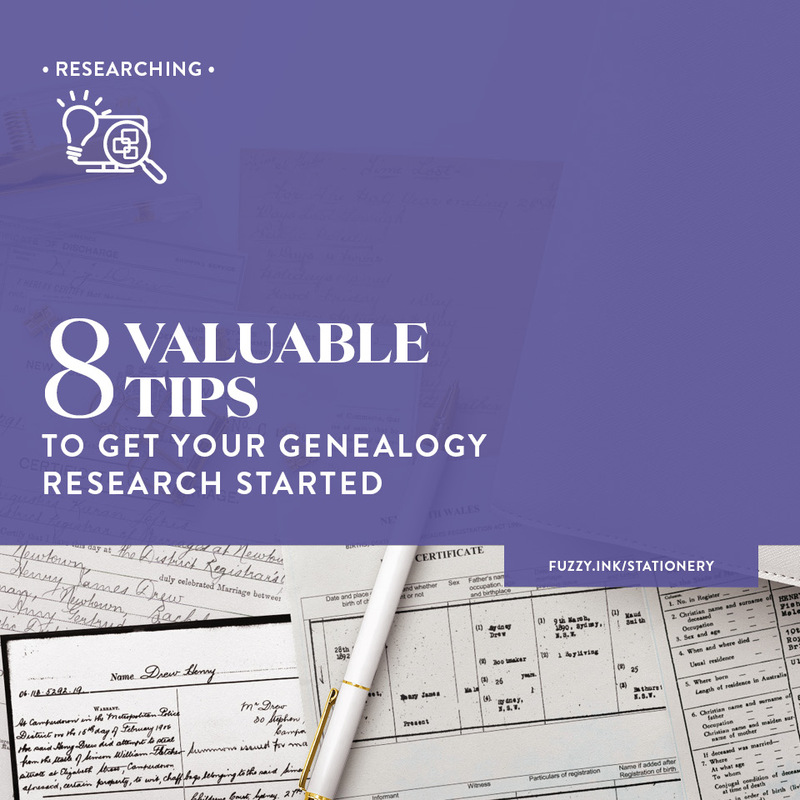 So you send off your family story and sit in your inbox waiting for a response. And it never comes which is so frustrating, right? Particularly when you just want one teeny piece of information. Agggh! 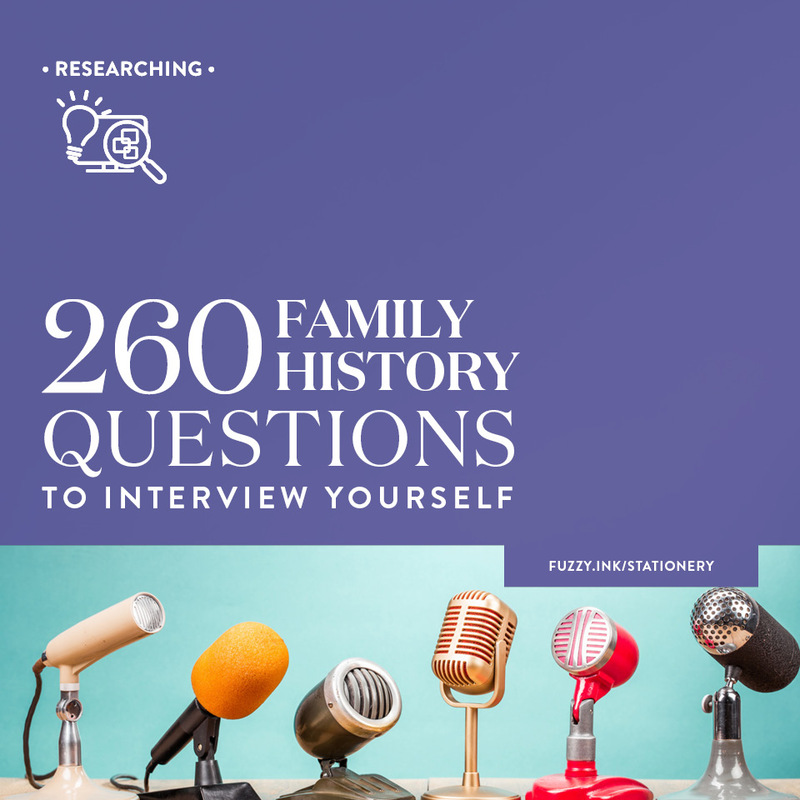 What family historian hasn’t felt that pain? And there are so many reasons why you might not receive an email response. It is embarrassing to admit that there are occasions where I forgot to reply. Or I didn’t see the message for months because it went to an email address that I rarely check. So, a few years ago I gave up on email and started tracking down mailing address. I know this isn’t always possible, but I still try. Then I pull together everything I’d put in an email and pop it in the post. It hasn’t failed me yet. I usually receive phone calls in response, but I always get an answer. 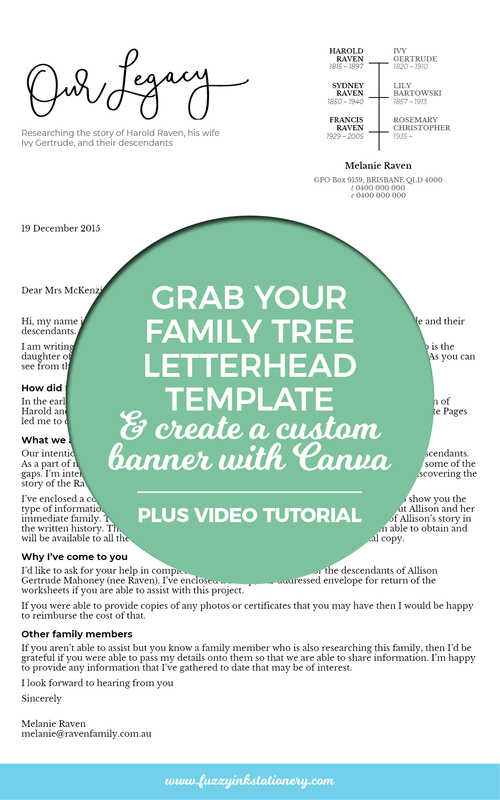 Now you have my secret to getting a response grab your copy of the Family Tree Letterhead template. I love the mini-tree because it sums up quickly how I fit in, so I avoid confusing explanations. If you’ve been on my email list for a while, then you may remember a Microsoft Word version. The feedback I got was that a lot of people couldn’t use it because they didn’t have the software. It was disappointing to hear, but it was fantastic feedback. As well as the incentive I needed to test free, web-based software that was available to everyone. Check out the new Google Docs template to see the result. 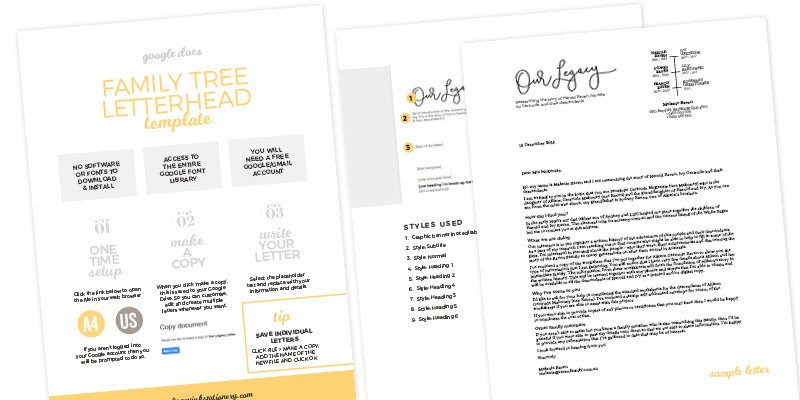 You’ll find a sample letter in the PDF to see what I typically say in my correspondence. 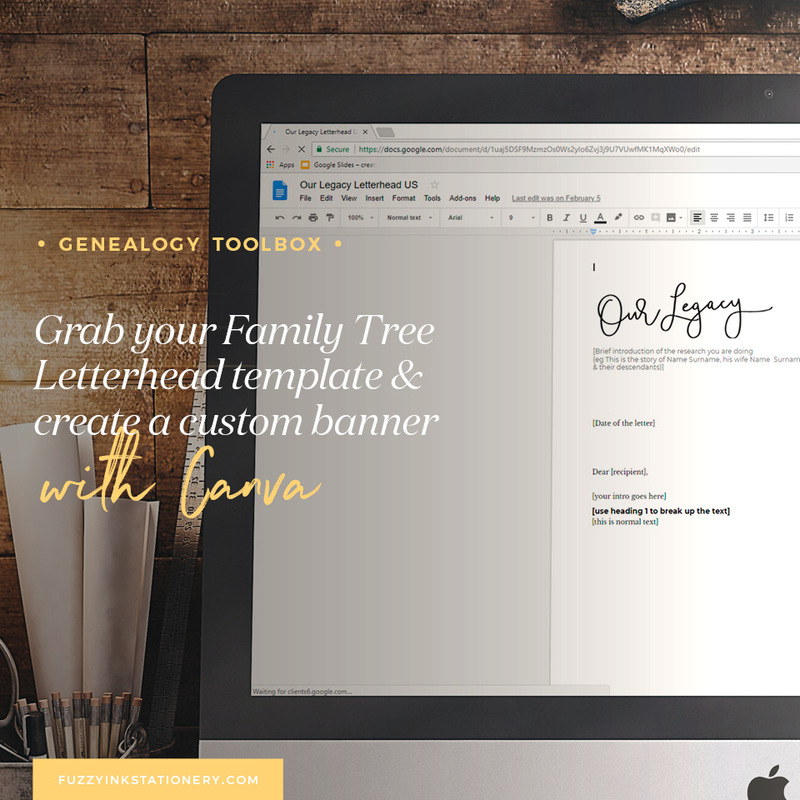 Why Google Docs for the Family Tree Letterhead? I’d love to hear your thoughts about this template and whether or not I should make more Google Docs files. You may want to change the ‘Our Legacy’ graphic to something that is more appropriate to your family history. Or maybe have a different graphic for each family line. That’s a great idea, so I’ve put together a quick tutorial to show you how. Maybe you prefer written instructions? You can download a PDF from here. I’d love to hear your thoughts about the template and using Google Docs. Would you like to more Google Docs templates in the Resource Library? Share your thoughts in the comments below or send me an email at hello@fuzzyinkstationery.com. What a great blog, so many useful resources and ideas from someone who’s obviously been through it before. Thanks for sharing!! Why is the template no longer available? I found it a really great idea! 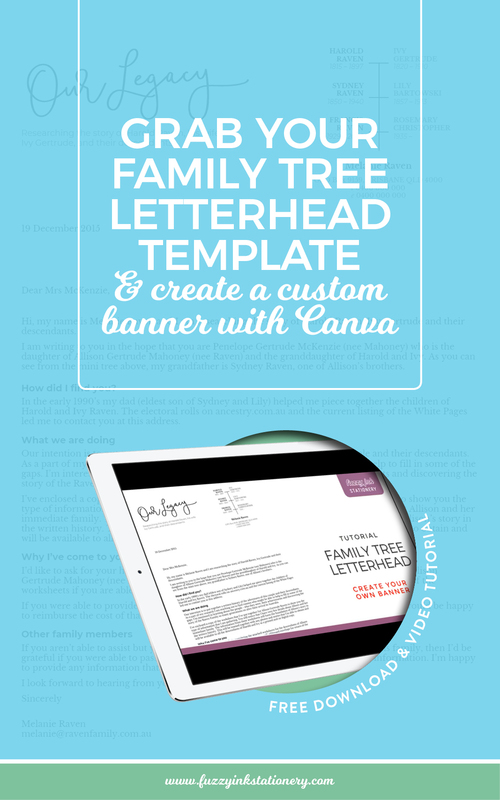 Hi Paula, the template is still available in the Resource Library. 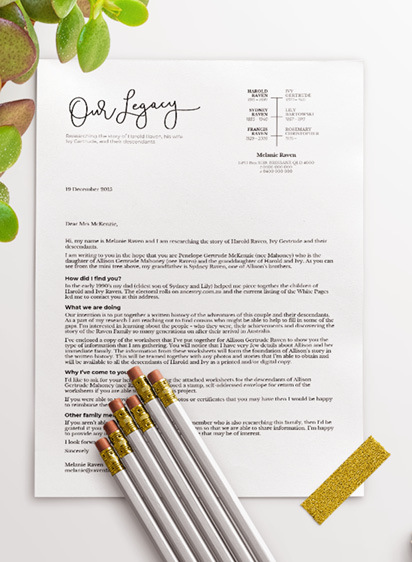 ​​​This ​FREE Google Docs template ​is your foundation to create a personalized letterhead for ​your genealogy correspondence. 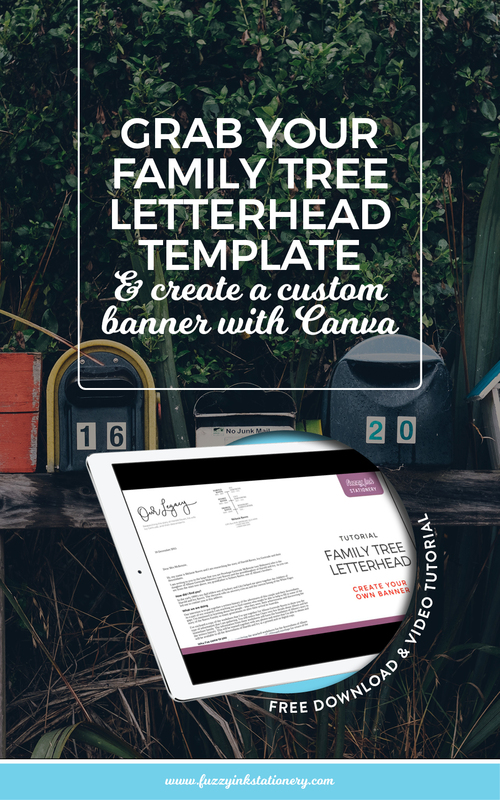 ​Create a version for each of ​family line.